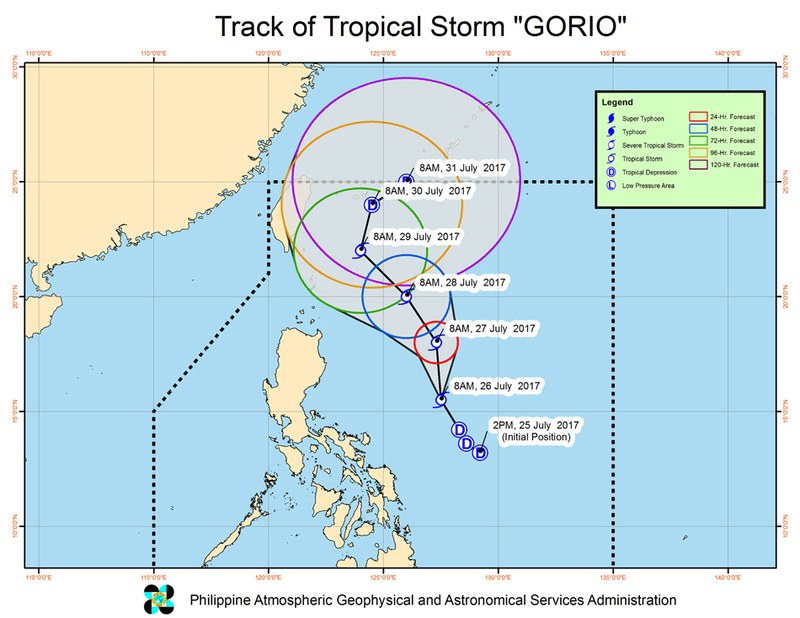 Weather bureau PAGASA on Wednesday said "Gorio" has intensified into a tropical storm and is now packing moderate to heavy rains within its 400-kilometer diameter. "This weather system will enhance Southwest Monsoon which will bring moderate to occasionally heavy rains over the Western Section of Luzon and light to moderate rains over the rest of Luzon and Visayas," Pagasa said in its Severe Weather Bulletin issued at 11 a.m. 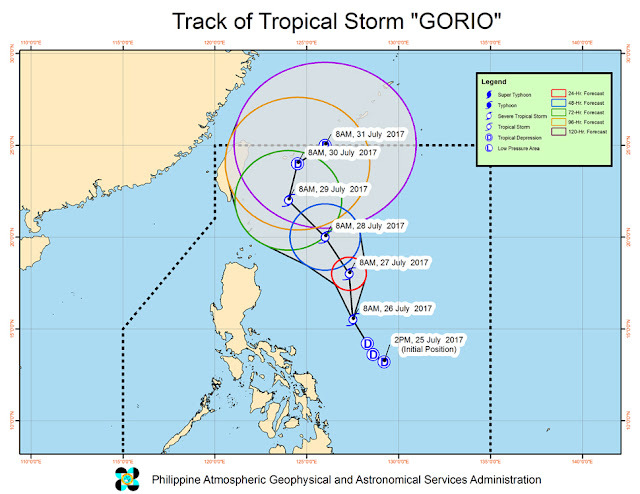 The bulletin also stated that Gorio slightly slowed down as it moves north-nortwestward. 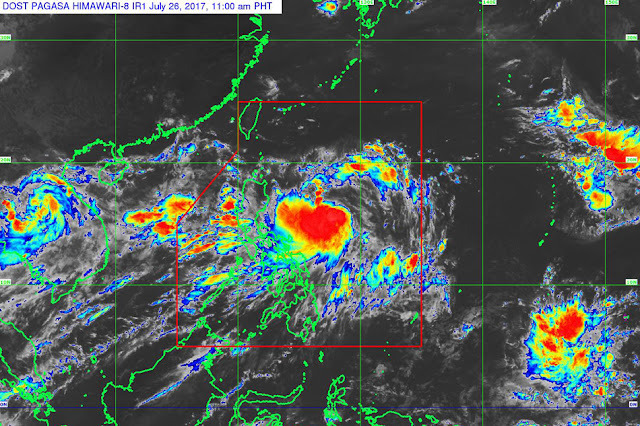 It was spotted at 595 kilometers east of Casiguran, Aurora at 10 a.m.
Gorio is packing maximum sustained winds of up to 65 kilometers per hour near the center and gusts of up to 80 kph. The tropical storm is expected to be at 595 km east of Tuguegarao City, Cagayan on Thursday morning and 425 km east of Basco, Batanes on Friday morning. No tropical cyclone warning signal has been raised. "The public and the disaster risk reduction and management council concerned are advised to take appropriate actions and watch for the next weather bulletin to be issued at 11 p.m. today," PAGASA said. Here is a list of areas where classes on Wednesday, July 26, have been suspended because of heavy rains. Classes in all levels have also been suspended in Pamantasan ng Lungsod ng Valenzuela and Valenzuela City Polytechnic College. Classes from pre-school to senior high school are also suspended in Our Lady of Fatima University Valenzuela.